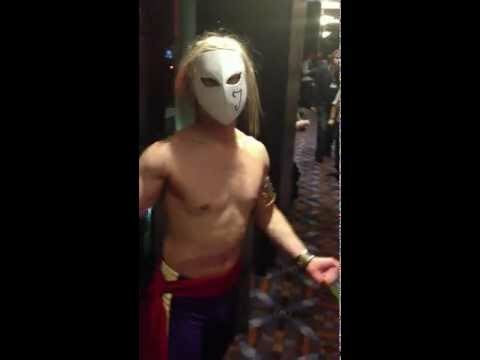 Vega (Street Fighter) Cosplayer isn’t so thrilled to find out that we were taking a video instead of a photo. If I had my Akuma costume on, it would’ve gone down! Video taken by Muten of Animeism.org in the lobby of the Hyatt Regency O’Hare at Anime Central 2012.